Internal Brass 75mm2 Galvanised Steel, Powder coated black with full internal brass winder fitting and caps. External Winder 75mm2 Galvanised Steel, Powder coated black with standard crank action winder fitting and caps. 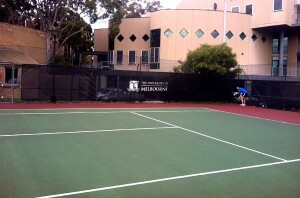 *All Kings Sports Tennis Net Posts are all hand made here in Australia by Kings Sports Staff. There is simply no doubt, when it comes to tennis, Kings Sports is your number one supplier for all your facilities. For the past 25 years Kings Sports has specialised in the manufacturing and installations of a wide variety of Tennis products. From all forms of Tennis Netting, to Tennis Nets posts, centre straps, ground anchors and umpires chairs, as well as installations and ongoing repairs, Tennis is truly a sport where you simply “can’t play without us”. *Kings Sports also offers repairs to existing Tennis Nets. Centre Strap Centre Net holder, WHITE 50mm wide seatbelt material with stainless steel fittings. Ground Weight 160mm OD x 60mm Thick Steel Disc with welded eyebolt. Allows centre net strap connection which can be removed at any time. 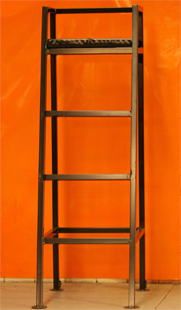 Umpire Chairs Galvanised 40mm2 steel, powder coated black. Vinyl covered padded seat. At Kings Sports we also specialise in the supply of draw curtain perimeter netting. Draw Netting is a great way to provide safety to spectators, protect gardens and houses from errant balls as well as offering the economical solution to fixed fencing. 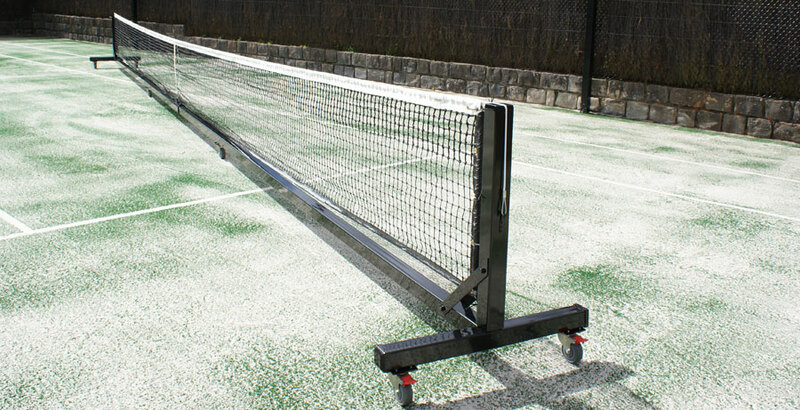 The convenience of retractable draw netting is it allows you to open and close off your tennis courts as you wish. We use only state of the art stainless steel fittings and cables to ensure long jeopardy of the product and for convenient maintenance. Call us for a free quote or for any other enquires regarding our retractable draw netting systems. At Kings Sports we offer a wide variety of windbreaks and privacy screens. 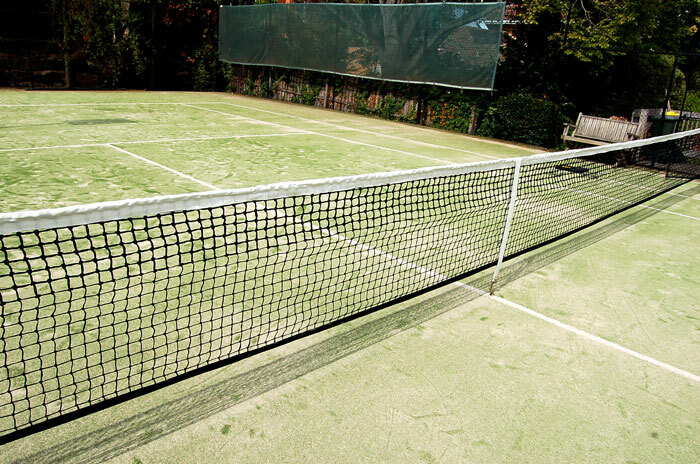 With a long history and experience with tennis courts and in the tennis industry we can confidently offer you the best advice when choosing a particular screen for your tennis court. We offer a wide variety of woven mesh material and PVC materials, each material serving a different purpose pending your requirements. We offer windbreak materials with a 70 – 75% block out, ideal for wind protection on Tennis courts. We also offer windbreaks with a 90 – 95% block out which is ideal for a privacy screen and domestic use. It’s worth noting that all windbreaks and super mesh products may not be suited to original fencing structure. Kings Sports can offer the best advice on what product suit what fence. Fencing may need to be reinforced / braced to ensure it can handle particular wind loads. All screens are hemmed with PVC material and double stitched with UV treated and bonded polyester thread. Brass eyelets placed at .700mm intervals around the perimeters. Galvanised tension springs included also, which have been proven to ease the strain and load on fencing during high winds. For pricing and material samples feel free to contact us, we are always happy to assist.